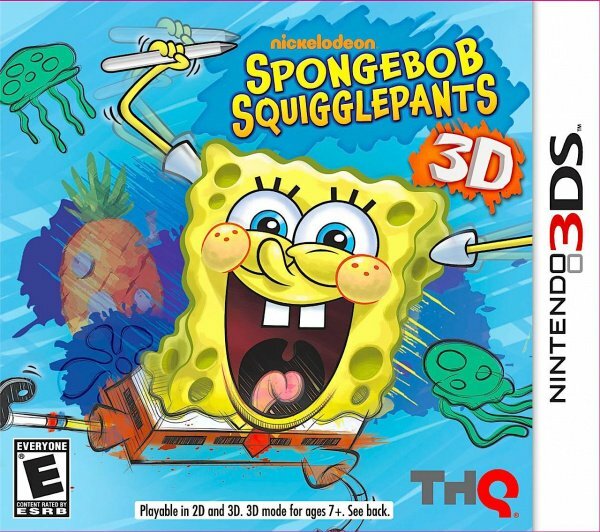 SpongeBob SquigglePants for Nintendo 3DS is a single player family game that provides players with a unique SpongeBob play experience via the game's fast-paced gameplay and its 3DS inspired drawing abilities. 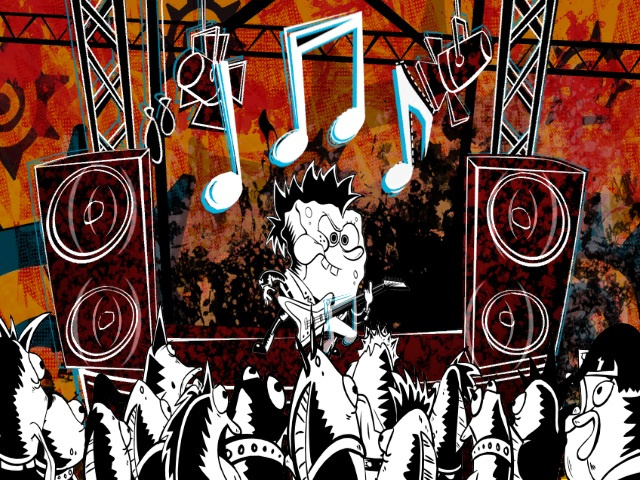 The game contains 100+ nanogames designed to be played in rapid succession as well as never-before-seen SpongeBob art styles from the Nickelodeon vault. 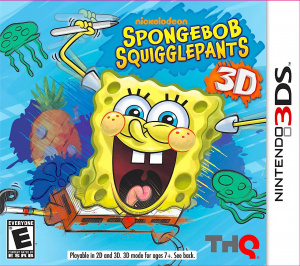 Loads of nanogames and the 3DS provide for a SpongeBob gameplay experience like no other. 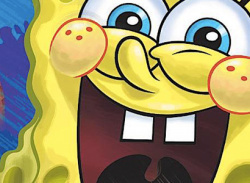 In SpongeBob's most crazy, creative adventure yet, be prepared to laugh your SquigglePants off as you tilt, flick, tap and draw through more than 100 Nanogames set in six zany worlds. SpongeBob SquigglePants puts you in the driver's seat for a dizzying series of lightning-speed Nanogames, giving you mere seconds to finish one before moving right on to the next. 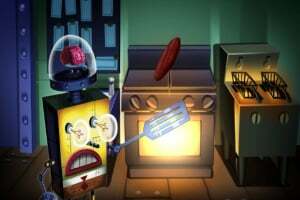 Within this rapid-fire succession of challenges, SpongeBob SquigglePants exposes players to never-before-seen SpongeBob art styles from the Nickelodeon vault. 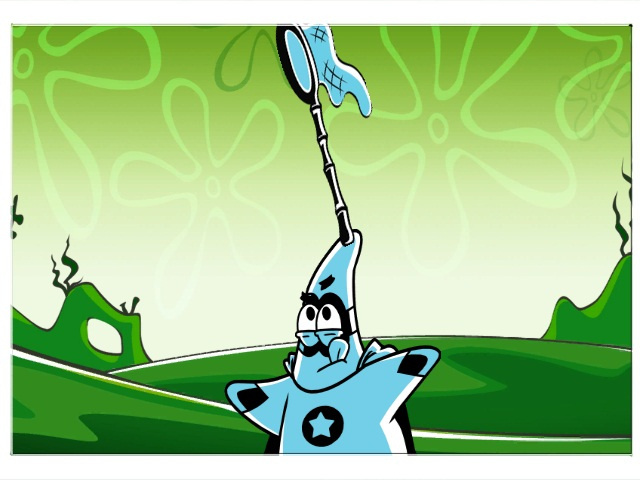 SpongeBob SquigglePants also lets players digitally draw, paint, color and choose from dozens of SpongeBob-themed stamps, to create a masterpiece worthy of a place in Patchy's own collection of SpongeBob Art. The entire game is hosted by SpongeBob's biggest fan, Patchy the Pirate, in a never-before-seen live action experience for an added level of under-the-sea silliness. Wacky Nanogames – Tilt, flick, tap and draw through more than 100 Nanogame challenges, frantically timed for laugh-out-loud and fast-paced excitement. 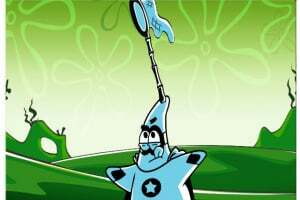 New Splashin' SpongeBob Looks – Never-before-seen SpongeBob art collections unlocked from the Nickelodeon vault and featured in six zany worlds. 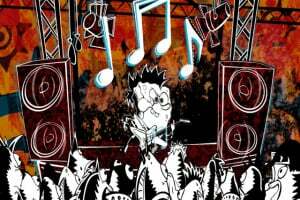 Patchy the Pirate Live – President of SpongeBob's fan club, he serves as a guide of the game in a never-before-seen live action experience adding hilarity and under the sea silliness. Endless Creativity – Create, color and draw anything imaginable with custom paints, palettes, stamps and art tools to create a masterpiece worth of a place in Patchy's own collection of SpongeBob Art. Special 3DS Features - Enjoy an exclusive level for 3DS Version and more. WANNABE WARIOWARE (p.s. I am the first commenter for this game)! No. I've seen the game videos. It's wannabe Wario Ware. Not like being a "wannabe warioware is a bad thing". I'd LOVE to see more Warioware style games.